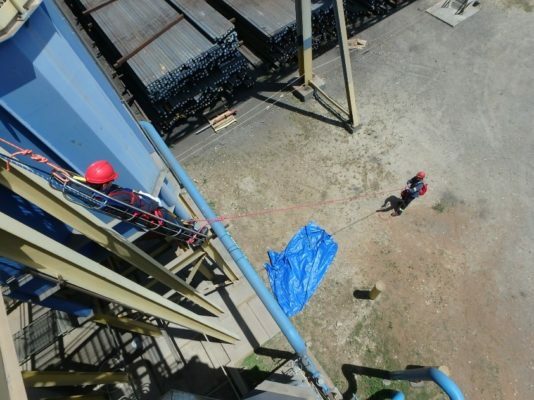 Safety and security of our employees at the Optimus Steel Mill is always at the fore front of our minds. The ERT is the team in place to prepare, respond, and resolve to emergency safety events. What is the ERT at OSM Steel you may ask? The ERT team is comprised of volunteers who are specifically trained to respond to a wide variety of emergencies that can arise. 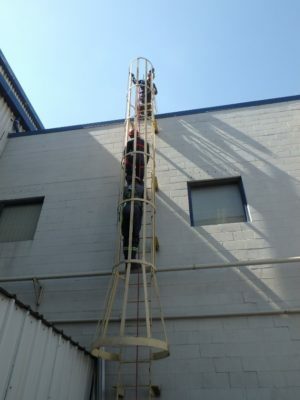 These team members are trained in Forklift, Man-lift, Confined Space, Technical Rescue, CPR/AED/First Aid, Incipient Fire Fighting and Environmental Response. These specialty skills enable the team to response and resolve many different concerns and safety events that happen within the mill. In many events, time is of the essence and having the ERT team on site ensures that we can respond much faster than calling first responder teams. Thus making the site and our employees much safer and closer to aid in the event of an incident happening. “Over the years the team has been provided training that keeps our knowledge and skills current and relevant. I take great pride in that I have the ability to rescue someone if the situation arises. 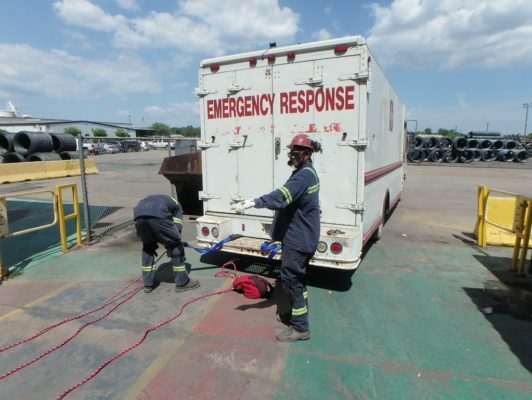 The Emergency Response Team is a rewarding experience that I have personally enjoyed. I look forward to future training and improving as a member of the team.” Said team member Oscar Vazquez. Currently we have around 19 active members of the ERT. In additional to those current members we have around 5 to 6 new members that have expressed interest. Several managers are constantly available to support the team in their various areas of expertise. The members are on shift with their regular crews and serve all areas of the mill as needed. How does having the ERT on site impact the daily life at the mill? 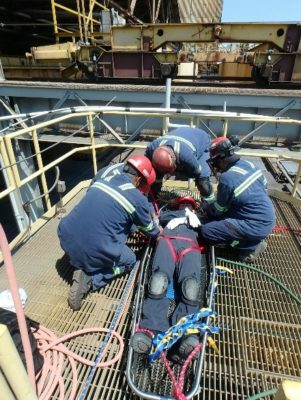 The team members are most experienced with the equipment and the environments that may be encountered in the course of an unexpected emergency situation. They bring an invaluable amount of knowledge and experience to the table when precious moments are most important. It’s important for us to understand the day to day goals of the ERT in keeping our employees safe, but also to understand the long term goals and effect the team can have at the mill. In the short term, we would like to make sure that we procure the best training services for our members. We have a dedicated group that is tasked with being the best at everything we do. We want a world class team in keeping with our vision of striving for perfection in all that we do. In the long term, we would like to expand the team to include around 40 active members. 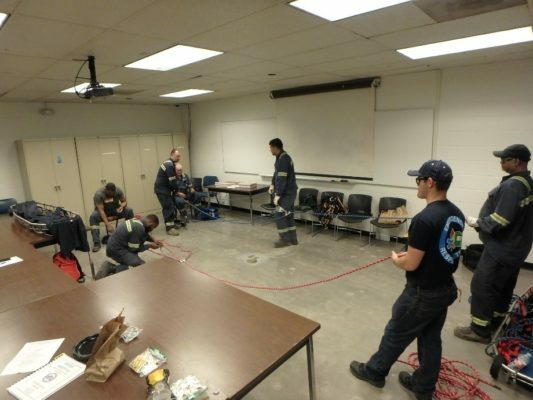 We would like to expand our training facilities onsite to include some additional training structures and equipment to better mirror some actual areas in our facility that may require rescues. We always desire our employees to be empowered to be great. We see nothing but great things in the future from this team. “#SafetyMatters! This is important to remember not only in the work place, but in the real world as well. Our Emergency Response Team is equipped to handle real world issues in real time, with confidence and exceptional professionalism. We stand guard to response whenever the need arises.” ERT member Frank Relford said proudly. If you or someone you know wants to be a part of the Optimus Steel Family and possibly on the ERT team, don’t hesitate to reach out to us via our website, LinkedIn, or Facebook for more information on applying!